Essentials for any AMG first drive? V8s and tyre smoke. Preferably lots of tyre smoke. We've got a track. And Bernd Schneider is on hand to lead us in ducks and drakes, experience showing this basically means a lesson in why we're not multiple DTM champions and he is. But the 'Sol' bit of the Costa del Sol location isn't playing. And ducks and drakes seems an unfortunately literal description of what Ascari Race Resort has in store. Fresh from driving the PHFleet BMW M4 around Brands Hatch in similar conditions I do at least have a reference for comparison. And reflexes primed for the inevitable 'I meant to do that, honest' sideways moments. 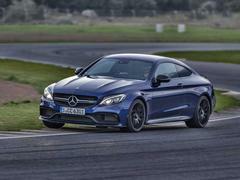 I'll work on the basis you're up to speed on the C63 Coupe by now. 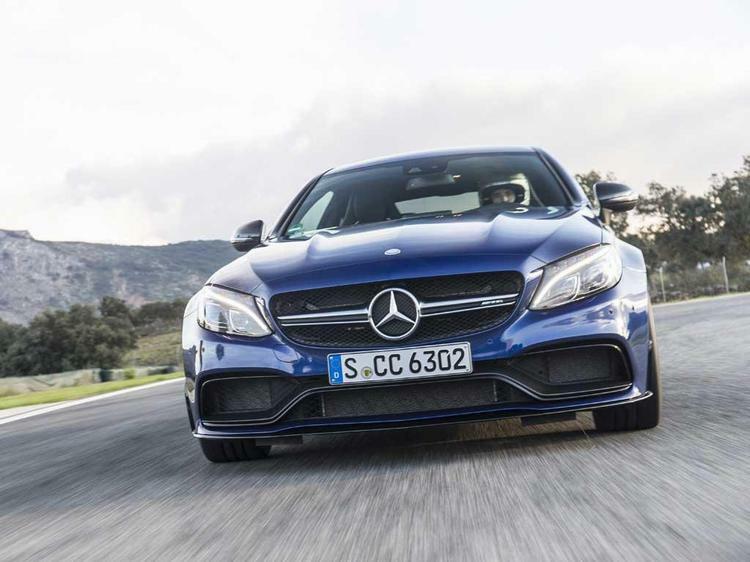 Basics are a £61,160, 476hp C63 or a 510hp £68,870 S version. 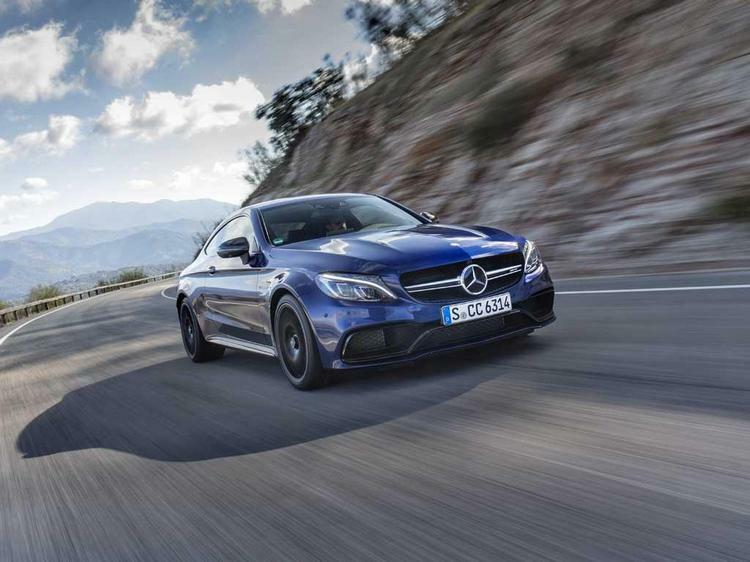 Both are based around the same 4.0-litre, 'hot-V' M178 twin-turbo V8 and drive through AMG's proven lock-up clutch MCT automatic transmission. All the cars on the launch are - inevitably - fully specced S versions with the optional ceramic front brakes and all the trimmings. As driven we're looking at a £75K car here, a handy comparison with the £74K bottom line of 'our' M4. 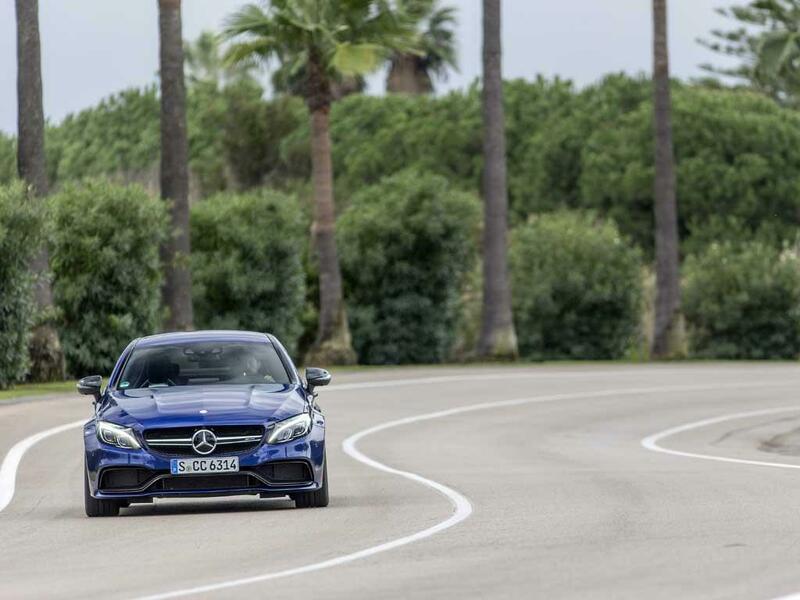 Having recently declared the BMW winner in a head-to-head test with the C63 S saloon I'm doing my best to avoid eye contact with AMG boss Tobias Moers. Not quite ready for that conversation with him yet. Maybe over dinner. Humble pie may be on the menu. 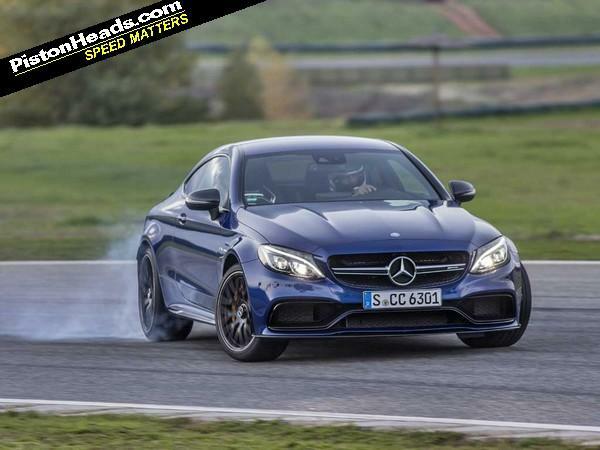 Because comparing C63 saloon to M4 coupe may have given the BMW false sense of security. This C63 Coupe is a significantly different car and a much, much more serious proposition. 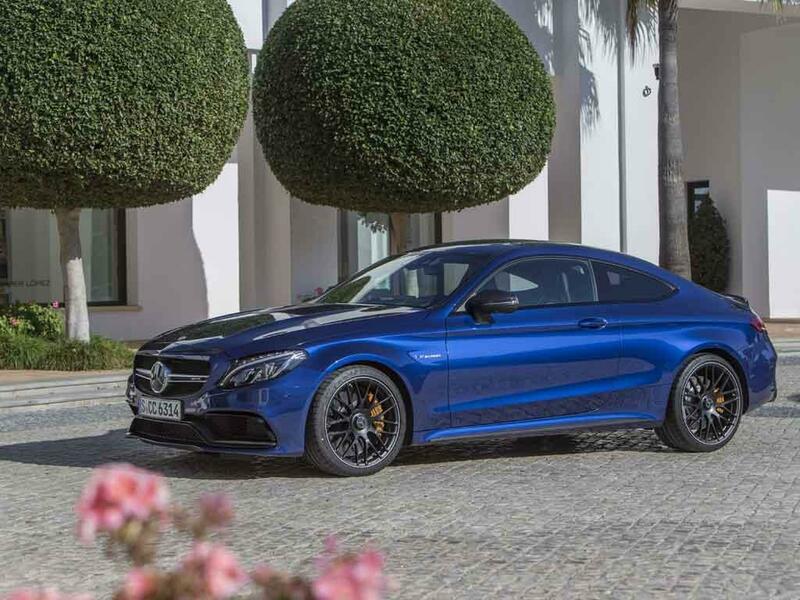 Not surprising really - in the last year in which saloon, wagon and coupe versions of the last C63 were sold in the UK 48 per cent were coupes. If the others are the support acts this is the main event for Moers and his team. 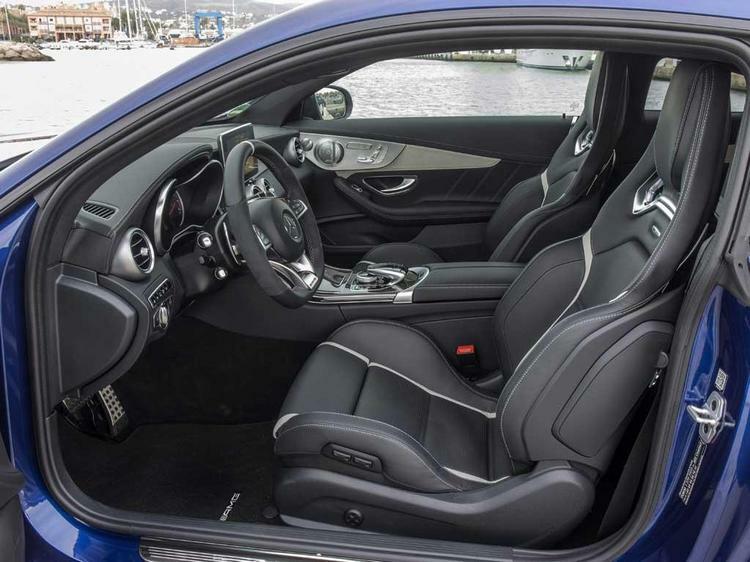 Key to this is an entirely new AMG specific rear axle, currently unique to the Coupe but, says Moers, to feature in the next AMG E-Class too. A multi-link design, all but the toe control arms are fixed to the body on solid pillow-ball mounts and it's 46mm broader in track than the saloon's. 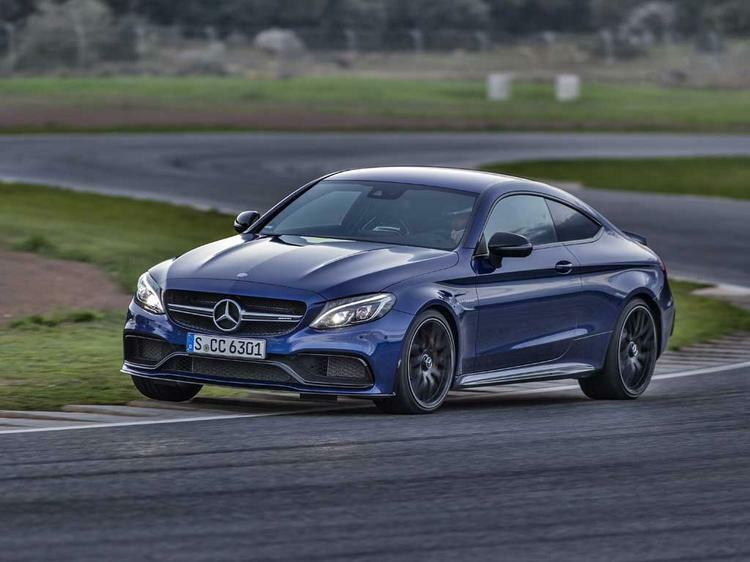 The front suspension is also unique to the coupe and 38mm wider than the four-door. 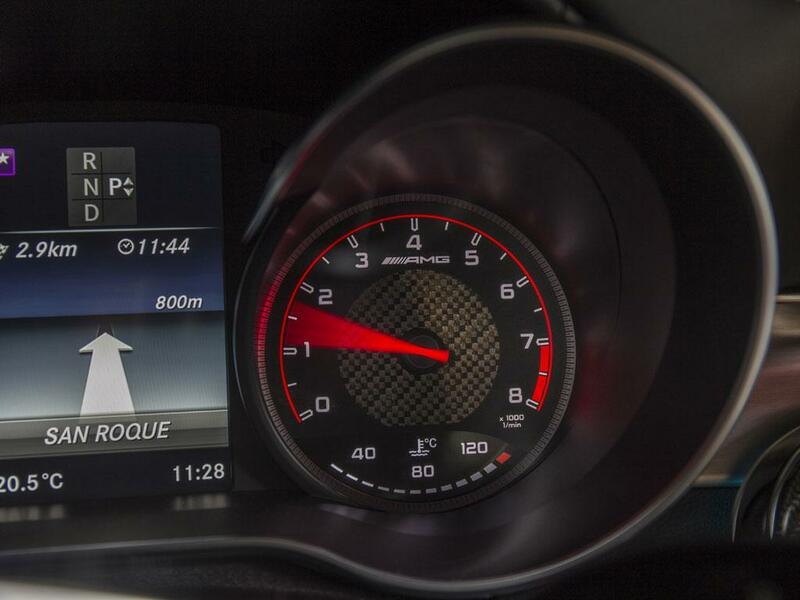 Spring, damper, camber and steering settings are all bespoke. What difference should we be looking for? "More precision," says Moers, simply. 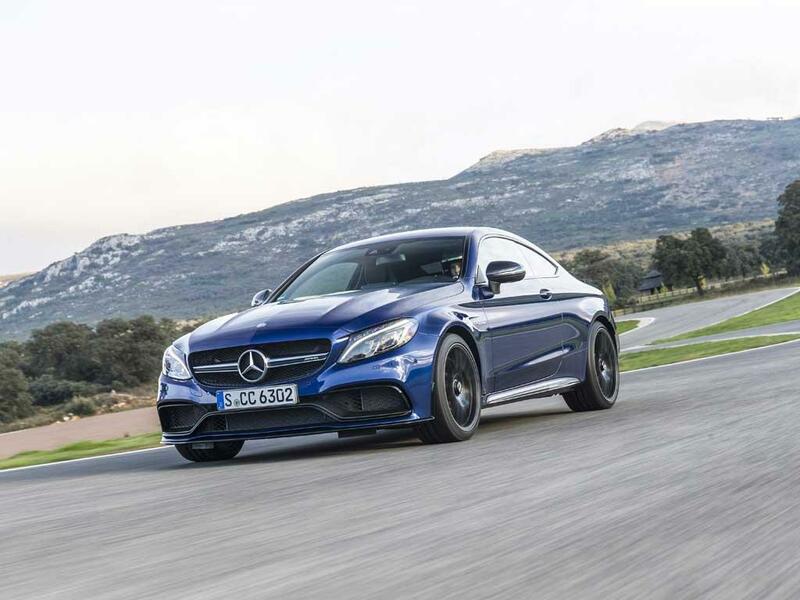 The visual differences between C63 and regular Coupe are striking too. Only the roof, doors and bootlid are common and the broader track makes it 67mm wider overall. These big arches help bulk out the looks and it's a much more aggressive looking car than the standard Coupe. 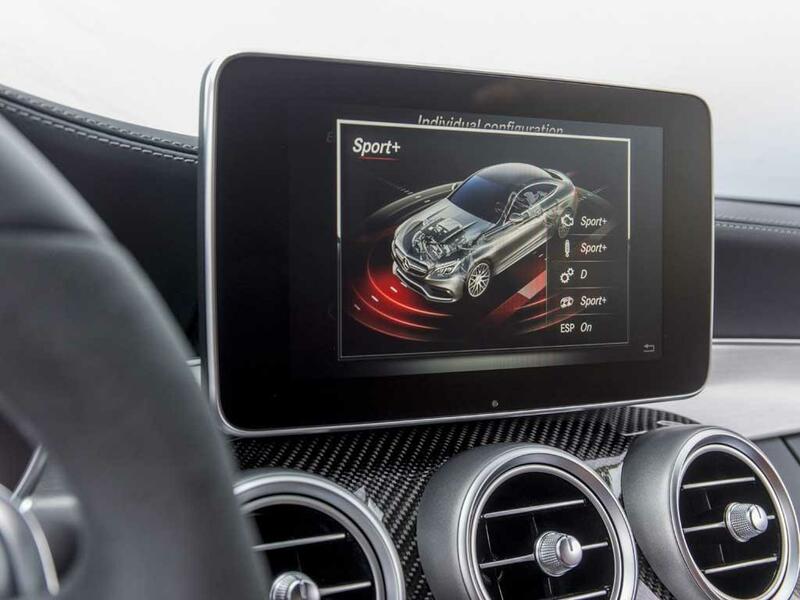 Eye of the beholder but there lurks a nagging doubt over the proportions even AMG's styling enhancements can't quite address. Chin stroking over aesthetics is quickly forgotten as the engine fires with an exhaust note as cartoonish as the looks. 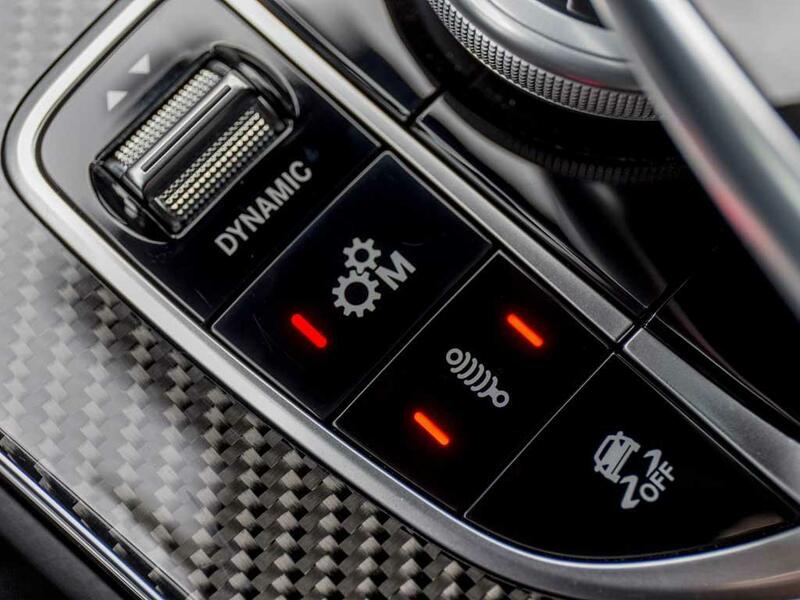 In Comfort mode the three-flap Performance Exhaust UK cars get as standard is apparently quieter than the standard single-flap one. 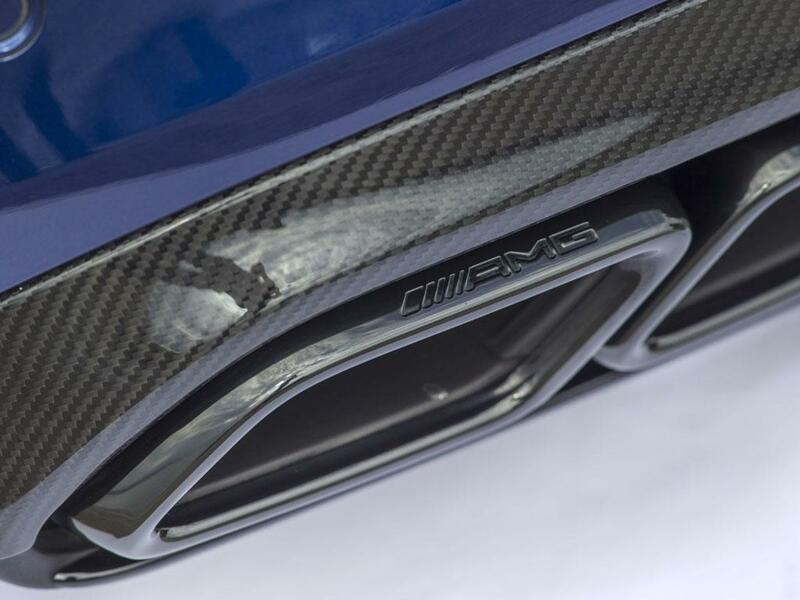 But who selects that on an AMG launch? Exactly. Full noise it is. On tickover it's menacingly bassy. The cars braking down through the gears for the first chicane thunder and crackle like a firework display. Sure, this is engineered sound. But at least it's real sound. So it comes across as a bit of a brute in looks, noise and the crushing on-paper power advantage over rivals. But at the wheel there's finesse and subtlety as well. A pity AMG has felt the need to follow the trend for endless modes and configurability because in its defaults everything feels spot on. 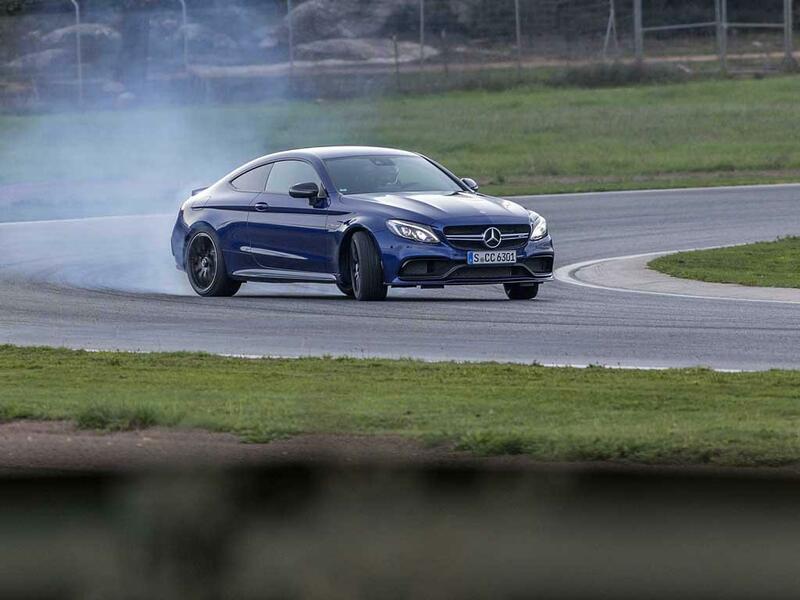 Fiddle if you want but there's the clear impression AMG's chassis and drivetrain engineers know more than you do when it comes to the ideal settings. Because they do. Instantly there's a heft and intent to the steering you don't quite get in the saloon or wagon; the weight of the old car's hydraulic system isn't there but nor is the initial gloopiness you get in the M4. The extra cylinders and cubic capacity are another advantage, smoothing the transition between on and off boost and giving the throttle a more natural feel. 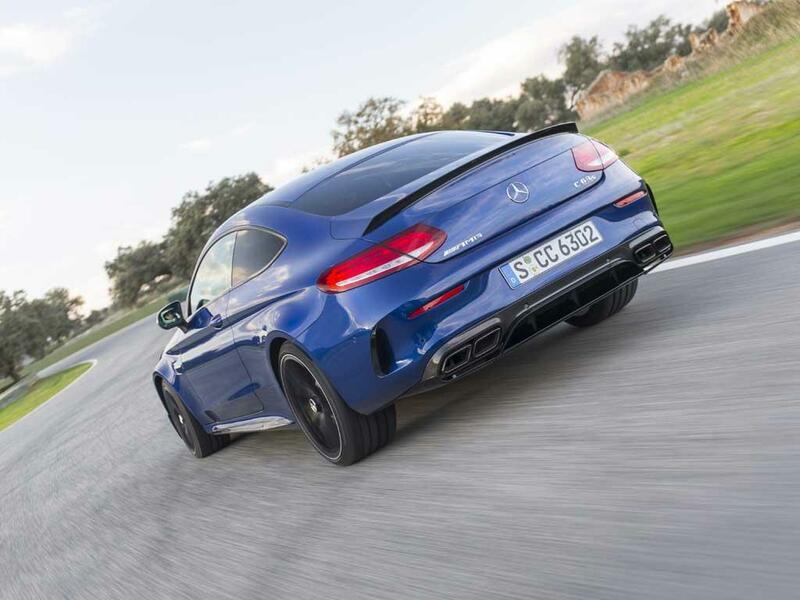 Like the steering, there isn't quite the instant connection of the old normally-aspirated car but of all the new-school turbos AMG has arguably managed it better than most. And the giddying combination of V8 noise and turbocharged thrust is just mega. Perhaps the most surprising thing on this slithery track is how tenacious the chassis is. Loss of traction in the M4 happens quickly and, unless you're happy to ride out the ensuing slide, can have you taking several bites at the corner. 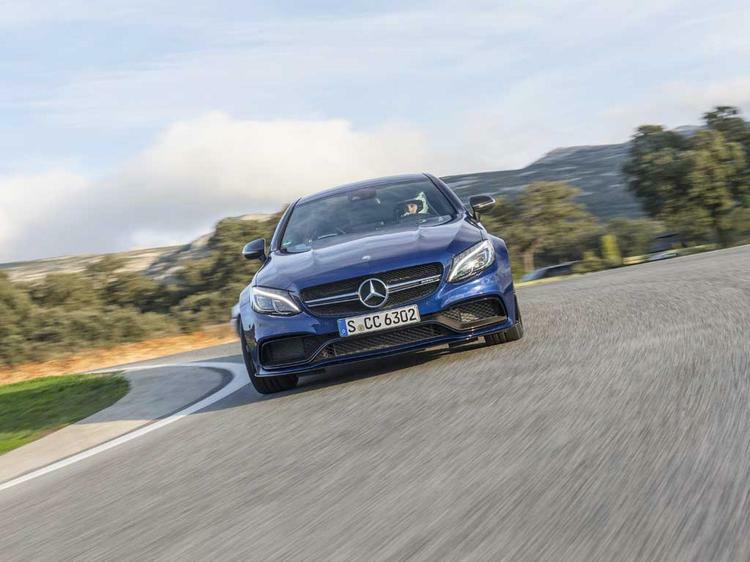 Like the GT S, the C63 S's active diff has an accommodating softness to the way it divvies up the power and is much more about maintaining traction. Sure, it doesn't take a huge provocation to induce a significant rotation. But if you try and hold it you end up battling a diff that very much wants to get the car straight again. Faster and more effective. But if you prefer the unreconstructed drift monster vibe of the old car you might actually be better off with the non-S and its mechanical locking diff. ESP on and the C63 can still carry decent speed even in these conditions. ESP Sport lets you play with the angles on the throttle without embarrassing yourself in front of Bernd, though can descend into a scrappy argument between who's actually sorting out the slide. And off? Entertaining. The damping is sublime too. Given the amount of weight the chassis is having to contain the body control is fabulous, the balance pin-sharp, understeer almost an irrelevance in all but the tightest corners. 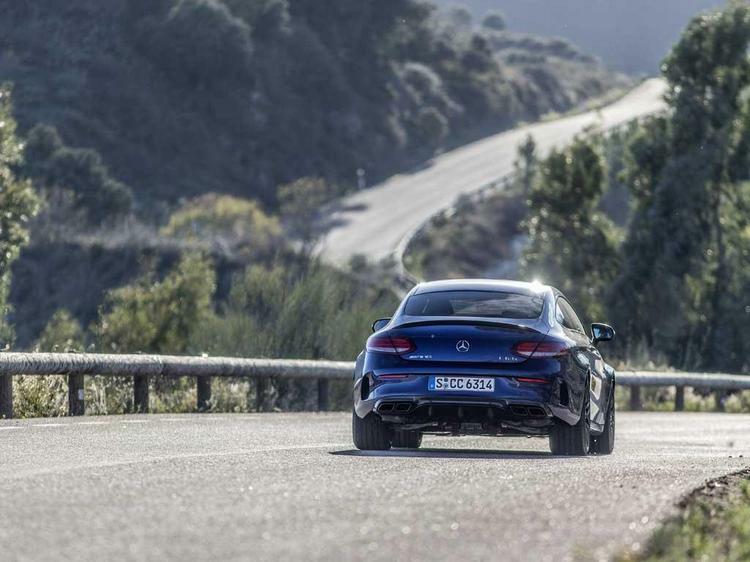 Unlike the M4, which feels like its variable damping is attempting to mitigate against inherently over-stiff coils, the spring rates in the AMG feel spot-on and the variable damper settings either side of default just fine-tuning for mood and feel. 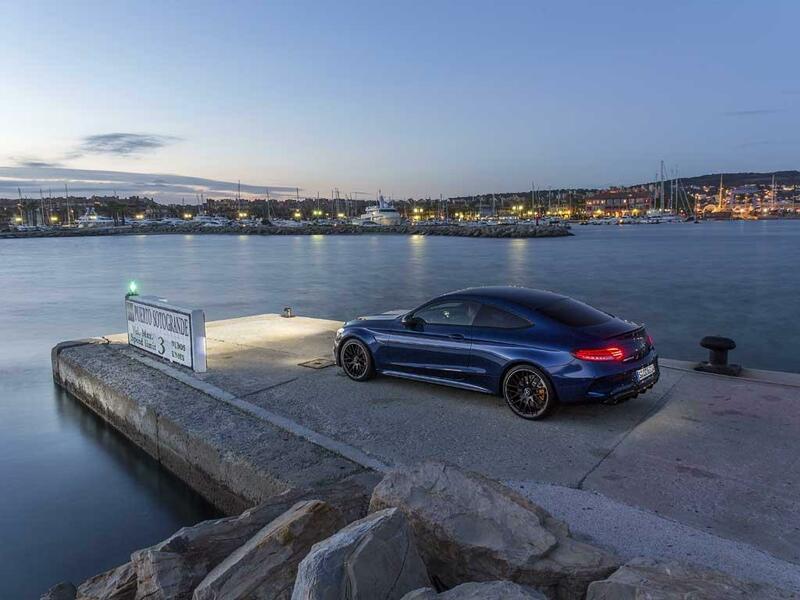 As a result there's a calmness and authority in the C63's chassis the more urgent BMW can't match; 188kg weight penalty or not you get the impression a C63 will be all over the bootlid of the BMW thanks to its firepower and poise. Swagger, confidence, call it what you will but Moers' promise of Black Series focus with 'regular' AMG usability seems to be honoured. Is it just a little too polished and mature? Maybe. The real weak link remains that MCT gearbox though, especially given how the focus of the rest of the car has sharpened. It's better than it was but is still overly cautious about delivering downshifts under braking, before then giving you two or three when you only wanted one. As per previous AMGs, it's actually better in S+ mode, complete with extravagant automated blips. But it can't match the race sequential impression of the BMW's dual-clutch. In conclusion AMG's big stick approach has never been better expressed and it's a shock to see quite how far the C63 has evolved from the saloon and wagon with which it shares a badge. 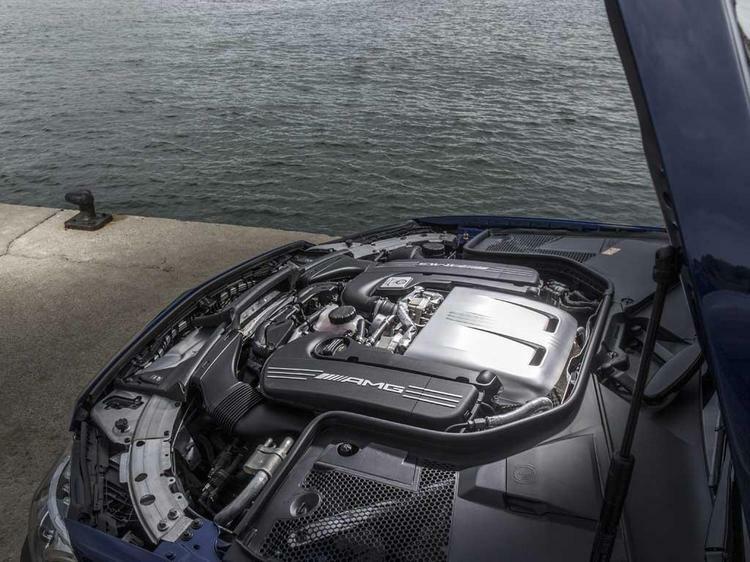 It's a car with a much, much wider range of abilities than its unreconstructed muscle car predecessor and, as a result, plays to a bigger audience. But the core values are very much intact. 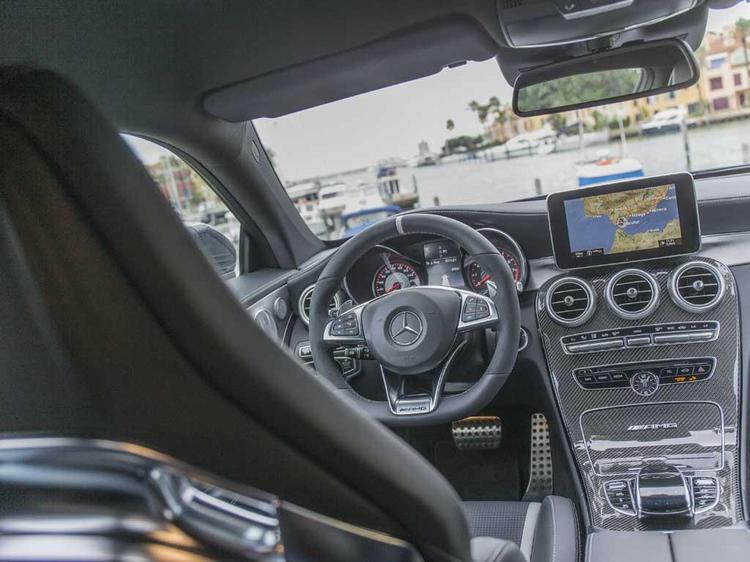 On a test drive back to back with the M4 or anything else in this price bracket - even a GT-R - the AMG's sheer force of personality is a powerful selling point. Against which the others offer a sharper, more intense adrenaline hit. Looks like we might have to schedule a re-match. or seven seconds from an earlier session that probably tells you all you need to know! I presume the BMW M4's dampers are attempting to mitigate the effect of overly stiff springs - as opposed to militate against. Anyway, either way, give me the Merc. Sounds a great package. These things are getting bloody pricey though! Is there any reason Merc won't put a good gearbox in the C63? Really wanted to like this car but can't deal with the styling at the back which looks all wrong. I love the detail of the interior. The rear looks like that rather odd Lexus from a few years back. I think I could overcome this though!